Life after accepting monkhood for Mokshesh Sheth would mean that he would be unable to enjoy luxury of a householder and has to be detached emotionally from other people, places or things. Mokshesh Sheth managed his family business for two years after becoming a chartered accountant. 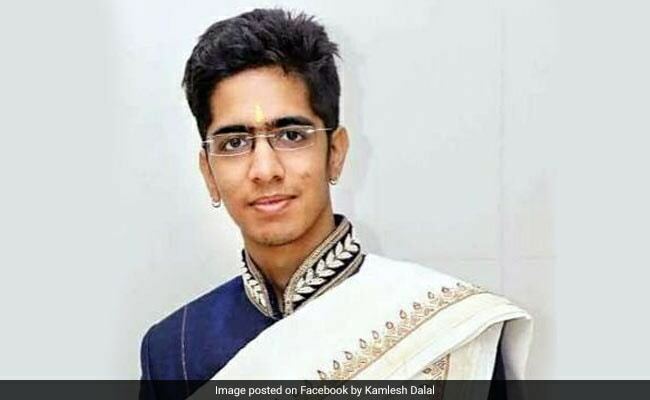 Mokshesh Sheth will now be known as "Karunapremvijay Jee"
A 24-year-old chartered accountant belonging to an affluent Jain family has embraced monkhood today. In the process, he has given up on his career and a family business worth over Rs 100 crores. Mokshesh Sheth managed his family business for two years after becoming a chartered accountant (CA). In a ceremony held in Gandhinagar today, he gave it all up and became a Jain monk. Life after accepting monkhood for Mokshesh Sheth would mean that he would be unable to enjoy luxury of a householder and has to be detached emotionally from other people, places or things. From today onwards, the eldest son of Mumbai-based businessman Sandip Sheth, will be known as 'Karunapremvijay Jee', said his uncle Girish Sheth. Mokshesh's family originally belongs to Deesa town of Banaskantha district in Gujarat and is now settled in Mumbai. The family is into aluminium business and Mokshesh handled the operations after becoming a chartered accountant in his first attempt. Yesterday, 12-year-old Bhavya Shah from Surat, son of a millionaire diamond merchant also embraced monkhood. "I am happy to take the path of truth shown by God," Bhavya Shah said.